It's party time and I am so glad you are here to join in. More amazing talent was shared last week with almost 400 links. Woo hoo! Let's take a look at just a few highlights. 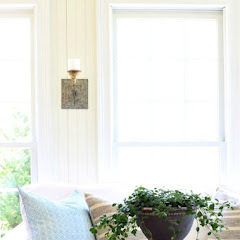 I love this sunroom transformation at Living and Learning With Luisa. 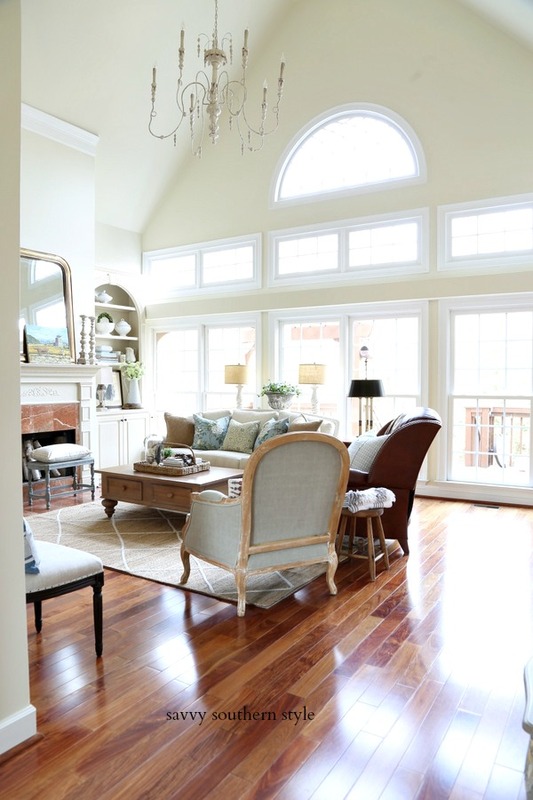 You must check out the before and see all the changes that were made. Isn't this beautiful? Fancy Frugal Life took us along on a visit to The Shinzen Japanese Gardens. I really want to join Delores of Vignette Design under her new pavilion on her pretty patio. Her cute fur baby seems to be enjoying it. 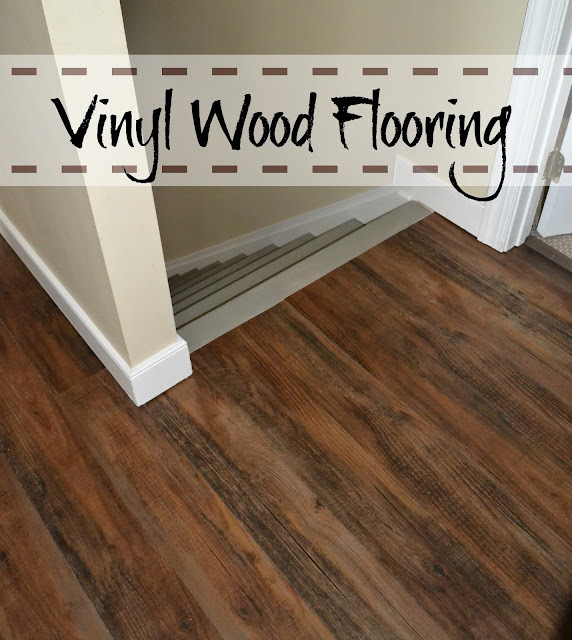 It is amazing how far vinyl flooring has come. It is really hard to believe that this isn't wood. Down to Earth Style just installed this in their hall. Obsessive and Creative shares how she transformed a plain galvanize bucket into this map covered beauty. Miss Shelia of Note Songs has been working her tiny fingers to the bone making these cute Tilda dolls. This is her June Clever version. 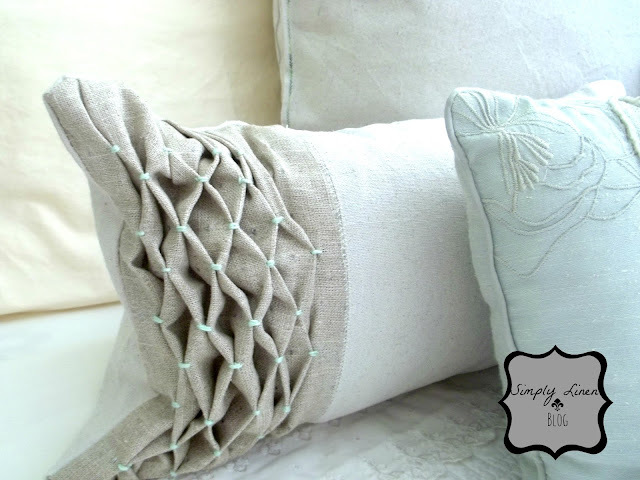 Now y'all know I have a weakness for pretty pillows and just look at this hand smocked one by Simply Linen. Everyone is already sharing fall decor and crafts. 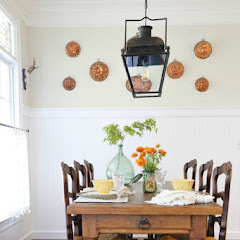 I love this braided burlap wreath by The Endearing Home. When I think of fall I don't just think of pumpkins. I think of apples and all the goodies that can be made with them. This apple streusel pie sure looks good by Call Her Blessed. Thanks again to everyone who linked up last week and each week. Now let's get on with this party and see what you have to Wow Us With this week! Thanks for hosting the party, Kim. 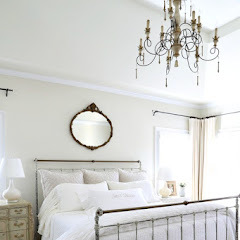 Those smocked pillows are beyond gorgeous! 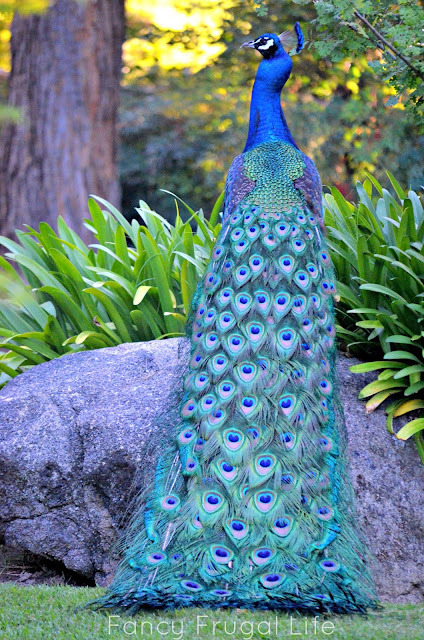 Kim that peacock is gorgeous!!! Great features thank you so much for hosting! OM gosh that pavillion is incredible! Will have to check out all the features, thanks for hosting Kim!! Always such great links of beauty and creativity at your party!...Thanks for hosting!!! Have a good evening! Hi Kim, Thanks for hosting. I have a few to share today! Already 70+ entries and it's only 8:10. WOW is right! Love that bucket with the maps on it! Thanks for hosting, Kim! Love Delores' wonderful pavilion, thanks for hosting, Kim! Thanks for hosting, Kim. Great inspiration, as always. Wow, great features! Love the peacock, and the June Clever doll is just adorable. Off to check out the other features that I missed. Thanks so much for hosting and have a great rest of the week! 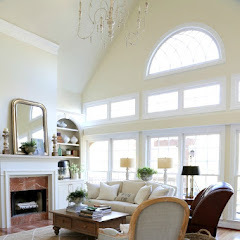 I love that sunroom too by Luisa and that pavillion is gorgeous! Thanks for hosting Kim!!!! I love the kitchen evolution at White Lace Cottage, I can't wait to makeover my own kitchen, planning stages only at the moment. Shelia's dolls are really something! Love 'em. The features are wonderful, Kim. Thank you for hosting, I am loving the links! Thanks for the party, Kim. Hope you had a fabulous holiday weekend! Kim, I love a party that lasts me several days to see all the wonderful posts. Thank you! Great selection, Kim. Thanks for hosting. Hi Kim, Thank you so much for the always fabulous party! I love Shelia's Tilda doll. So many cute entries here today! Thank you for hosting! Love the party! So many great features! Kim - my goal this week - to make it into the first 20 links. From 7:45 on I kept hitting refresh until BAM - the party was live. I quickly entered my info, made a typo, fixed it - hit enter. . . #34!!! I do believe your party is the rival of all blog link parties!!!! Seriously, thanks for hosting each week!!! Lucky ladies to be featured in your great party with their lovely posts. Thank you so much for hosting again this week Kim. Have a nice September. Oh my Kim! I just don't know where I'd enjoy a slice of that awesome apple strudel pie more?! In Luisa's snazzy sunroom or Delores' pretty pavilion. ha! Really love your features. Thanks so much for hosting another lovely party. Thank you for hosting! I always appreciate it! Thanks for hosting, Kim. I am in love with that hand smocked pillow. Thanks for letting us join your party! 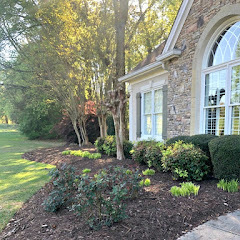 Thanks for hosting Kim, these are some lovely features, I sure love Delore's outdoor space and Holly's floor. I'll have to check out the others. Great party Kim, thanks so much for hosting! Thanks for the party, Kim. Beautiful features! Hi Kimmie! Oh, thank you so much for featuring my doll! I'm just amazed! You've made my night! Gorgeous Features! Thanks for hosting, Kim! Hi Kim, thanks so much for hosting. Lots of great inspiration to visit. Kim, thanks for hosting another great party. So many fun posts and I can't wait to start perusing them. Thanks so much for hosting every week, Kim! Have a wonderful day! What a giant party...over 400 links last week. Thanks for doing this! Kim! 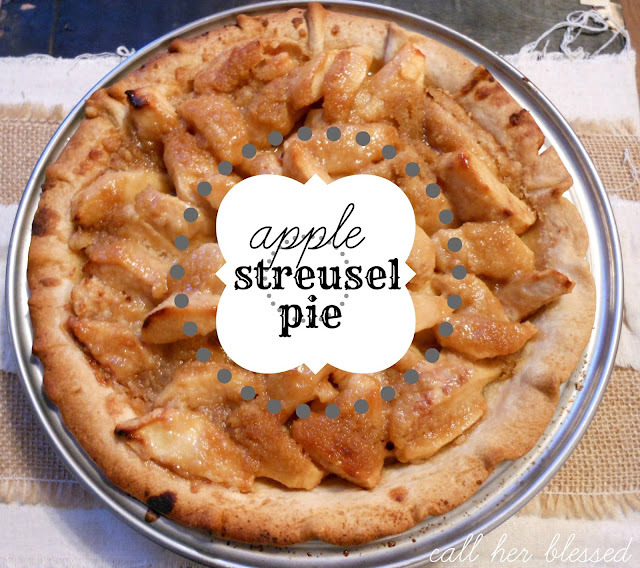 I nearly went into cardiac arrest when I saw my Apple Streusel Pie featured!!! You, hands down, just made my day! Thank you lots & lots! Wow, what a party. Thank you so much for hosting. Such beautiful things. Is "peacock" a color, because if it is, it is my favorite. Isn't that a beautiful bird?? Thanks for hosting such a cute and fun party! thank you for hosting and the pillows are so cute. What beautiful and colorful features! Thanks for hosting Kim! Those pillows are just "Yummy" ~ Love all your features. I appreciate your hosting your weekly parties, Kim! Kim! Thanks so much for featuring my field trip to the Japanese gardens!! Love your parties! Ohhh so many cool links again this week..I know what I will be doing after the football game tonight. Thanks so much!! 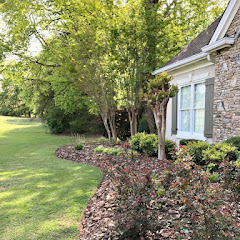 Hi Kim, Thanks so much for including my wreath in your highlights! Hope you are having a great weekend! I am such a loser for not seeing this. I miss one Wednesday of stalking your "wow's" and I won!!! Thanks Kim! Avoir un temps merveilleux à Paris....according to Google Translator, I just told you to have a wonderful time in Paris.